Fast Toys FT85AIRLID - Fast Toys High Flow 98mm LS1 Air Lid for Camaro V8; 1998-2002. Powerful LS1 motors require higher airflow than the stock air lid and MAF can provide. Until now, you were stuck using a small MAF or a reduction coupler with an 85mm MAF. Both of these restrict airflow and cost you horsepower. The Fast Toys High Flow 85mm Air Lid is the highest flowing air lid on the market and the only one that works with an 85mm MAF with no reduction coupler required! The Fast Toys high flow lid features our exclusive Power Bulge design to increase the air lid volume substantially and provide a smooth air flow transition flow from the horizontal air filter to the 85mm MAF sensor. Provisions for the stock IAT sensor are provided. This lid installs on the stock factory lower air filter base. An 85mm MAF is required (sold seperately). The Fast Toys High Flow Air Llid will work on everything from stock to highly modified LS1 motors. Best results will be on the modified cars that require more airflow than the stock lid and MAF combo can provide. For the ultimate performance, use the air lid with our Fast Toys Ram Air Kit (FTRA). Note: 1998-2002 cars will still be required to use a breather filter for the smog pump (available at extra cost). Why Use The Fast Toys Air Lid & 85mm MAF? What people commonly refer to as an 85mm MAF is actually larger than 85mm. The OD is actually 96mm and the ID is 90mm. Starting is 2001, GM added the 85mm MAF to it&apos;s highest performing engines (Corvette LS6, Corvete LS1 etc). 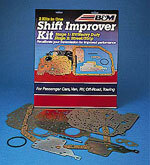 After 2002, all GM V8 cars and trucks use the 85mm MAF for better performance. Unfortunately, 98-02 LS1 Camaro&apos;s and Firebirds were stuck using the smaller MAF which has an OD of 88mm and an ID of 74mm. This is not ideal for the best performance. On our flow bench, the Fast Toys Air Lid flowed 14.5 % more than the most popular aftermarket air lid! To work with the 85mm MAF, the Fast Toys High Flow Air Lid features a giant 98 mm ID. This makes the ID of our lid about 9-10mm bigger than other aftermarket lids. Since area is pie R squared, the outlet area of our air lid is about 20 % larger that what is currently available from other manufacturers. On our flow bench, the Fast Toys Air Lid flowed 14.5 % more than the nearest competitor! On top of that, we have significantly increased the overall volume of the air lid compared to everyone else. 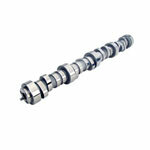 Higher volumes support larger horsepower and torque improvements. The Fast Toys air lid has 14 % more volume than the most popular aftermarket lid and a whopping 27 % more volume than the stock lid (baffles removed)! Testing on a mild cam, bolt on stock cubic inch motor, the installation of the Fast Toys 85mm air lid resulted in a .9 MPH increase in the quarter mile! Stroker, heads/cam and more powerful motors will benefit even further from the increased air flow. Imagine what motors running speed density tuning without a MAF can gain! Factory and afermarket SS hoods may experience rubbing on the hood. This can be addressed by putting some adhesive tape or the soft adhesive velcro in the contact spot to prevent paint scuffing. This same problem occurs with SLP and other aftermarket lids as well. Some models of Z28&apos;s with the factory hood may experience problems closing the hood. To rectify this problem, the bottom of the air box assembly will have to be trimmed and the hood contact point may need to be trimmed or flattened. 1998-2002 Firebird, WS6 and Firehawk No reported issues of any kind. Aftermarket Hoods (other than Camaro SS)No reported issues of any kind. 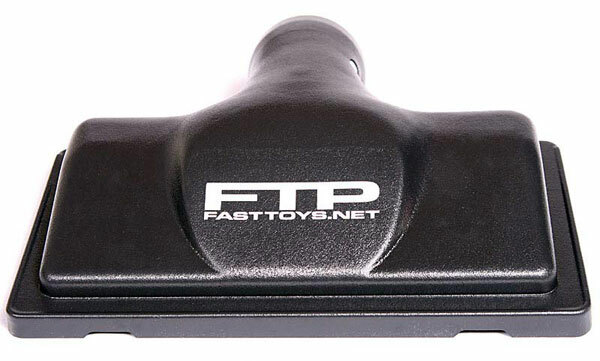 History and information about Fast Toys and their products. Why should you install an aftermarket cold air intake? Well for a number of reasons. The cold air intake allows your engine to breath and it is fairly inexpensive and fairly easy to install. Colder air in the engine means more power. LMPerformance carries the Fast Toys brand of cold air intake systems for your performance car. Many Fast Toys aftermarket cold air intake customers show an increased fuel economy of 5-10%, a much needed plus at today&apos;s fuel prices. 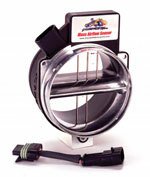 That coupled with increased power are a good reason to choose a FAST Toys cold air intake system. LMPerformance &apos;s long history of good customer service and parts at the right price are the reason to buy your FAST Toys cold air intake system on our web site. 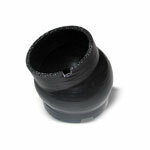 LMPerformance also carries the Fast Toys High Flow 85mm Air Lid, the highest flowing air lid on the market. The Fast Toys High Flow Air Lid is the only one that works with an 85mm MAF with no reduction coupler required. Get your Camaro and Firebird Fast Toys Air Lid at lmperformance.com for a great price, free shipping, and fast service. the biggest piece of lightweight superglued togather junk not even abs grade plastic just a piece of over priced trash knock off copy of slp an they offered a k an n air filter for another 30 bucks you wait 9 days later an a little crankcase breather shows up an ls motors are sealed thankx for ripping me off.